This Gemini 105MC is loaded, a pristine example of the popular Gemini Catamaran cruiser. This vessel has every option as well as numerous upgrades since new. She is located in San Carlos Sonora, which places you at the doorstep of the best cruising sea in the world. While only a an easy five hour drive South of the border, you have access to many fully equipped marinas. 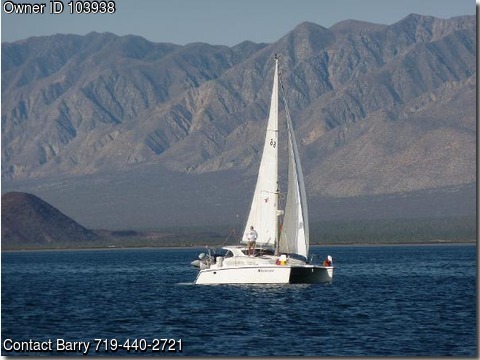 This boat will let you cruise in total comfort to any remote cove and island in the Sea of Cortez.Well maintained Gemini loaded and ready to cruise in the beautiful Sea of Cortez. Complete with many additions and upgrades, along with every factory option and 20 gallon an hour water maker. This vessel is ready for living aboard or afternoon sailing. For more information contact owner.